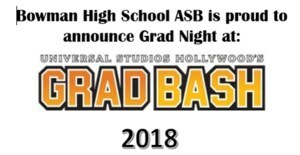 Bowman Grad Night Coming May 18th! 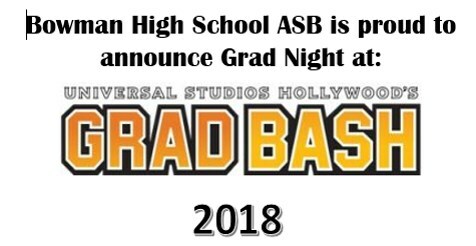 Tickets are on sale now through May 14th (or while supplies last); see flyer and contract for more information! See the flyer and contract for more information!